Do you find it hard to keep your kids toys tidy? Are they sprawled all over the floor and do you feel overwhelmed by the mess? 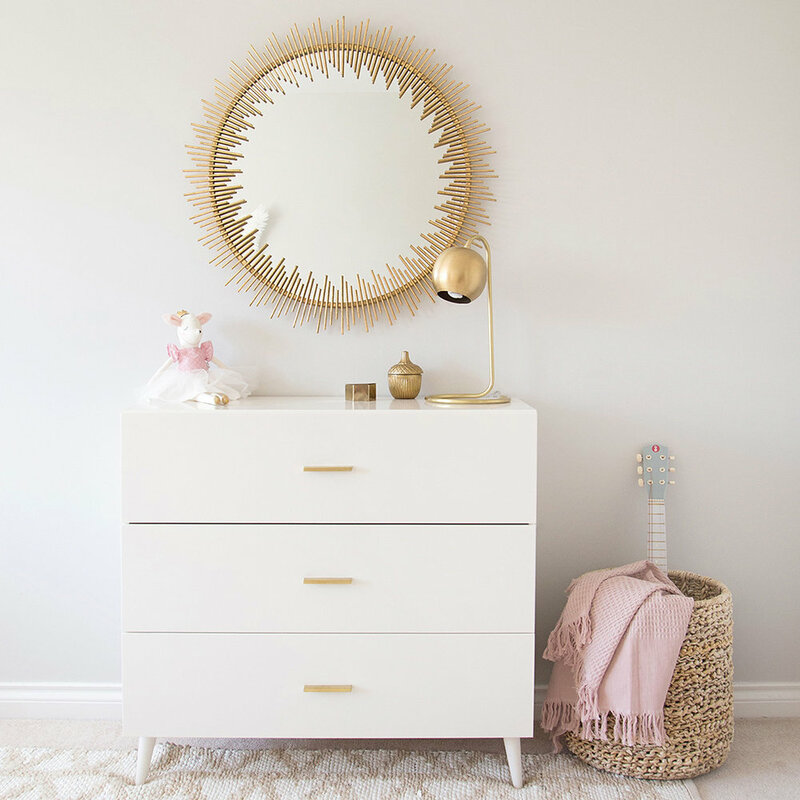 Storage is SO important in the way our homes function and I thought it might be helpful to walk you through some key ways to keep the crazy stuff kids need (and often don’t need) under control in a way that is both functional and pretty too. Back in the day (aka pre-kids), I used to have a tidy house. I remember feeling organized with a tidy kitchen, papers organized, clothes hung up and everything else hidden neatly away. I remember managing with a basket of toys and an orderly house with 6-month-old twins...AND THEN THEY BECAME TODDLERS!!! Even if you are of the more minimalist nature, with kids comes STUFF! If you were organized in the baby stage, wait until you have toddlers! With toddlers comes clothes, toys, books, gear, artwork, more clothes, more toys, more books and more and more stuff. One of the first questions my clients ask is, “how are we going to store all of the stuff that we have accumulated with the kids?" I tell them that there is a way. That we will find a way. So much so, that we will test my five minute rule when the room is done (keep reading). In my own home and in the rooms I design, I like to use the five-minute rule: Can the room be cleaned up in five minutes or less? If yes, then storage is doing its job well. 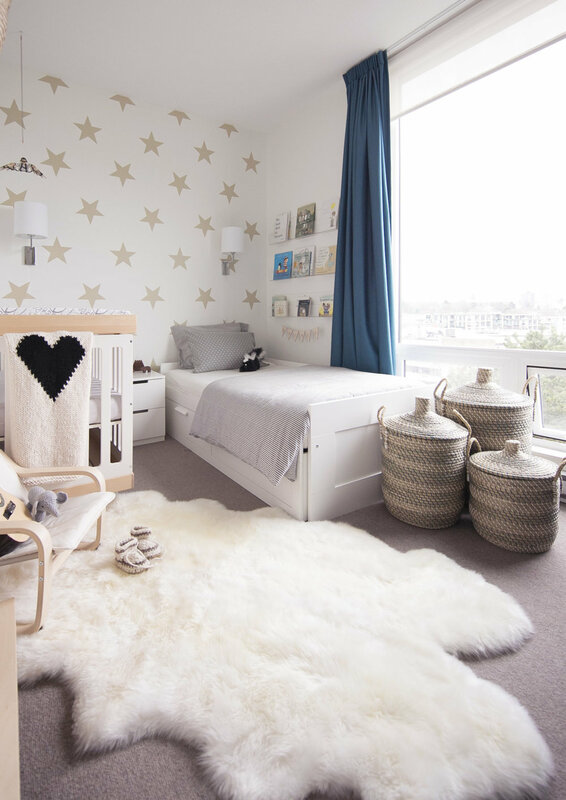 Here are my top 5 ways to store things in kids rooms. Wherever possible, use the vertical space you have on the walls. Think about whether there is space above a window, even under a window, or a wall where a shelf could fit. With so many options for shelving, you can choose simple slim shelves like the ones above for books and toys (from IKEA) or deeper shelves that can be used to store almost anything, like the ones below left. 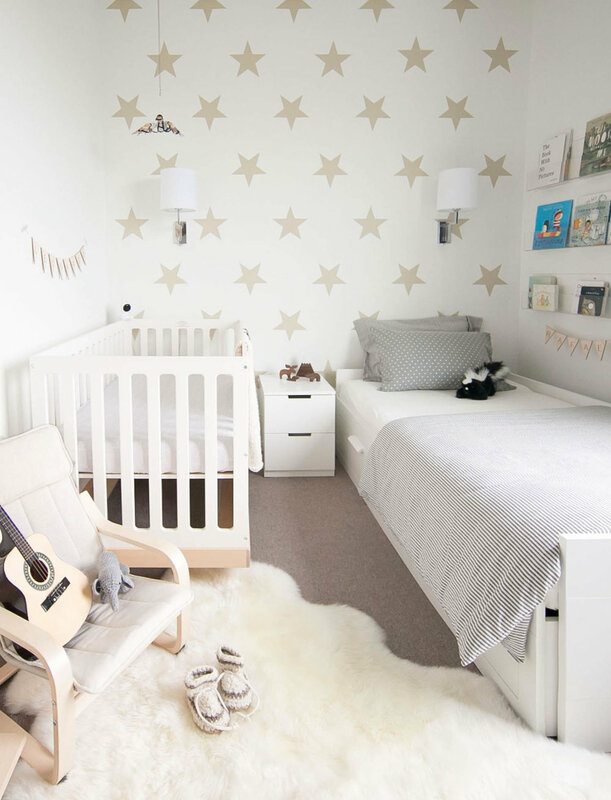 Making use of the vertical space a room has will mean fewer toys to trip over. 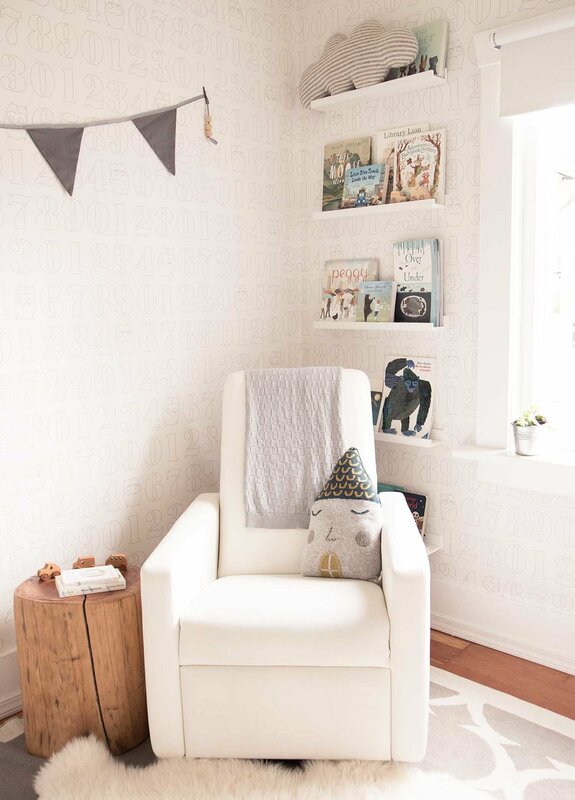 You can style shelves so many ways too and change what’s stored on them with the changing needs of your little one. I particularly love the vertical shelf below as it has both open and closed storage space meaning that you can still keep a few things hidden while allowing little ones to see and pull out the toys that they want to play with. 2. Use baskets, baskets, baskets! By now you probably know that I add baskets of some sort to almost all of the rooms I design. They are so incredibly versatile to quickly store larger toys or stuffed animals and if you pop a lid on top, you won’t even see the mess! I love baskets so much that I have an entire board devoted to them over on Pinterest where you can find lots of suggestions for pretty and practical storage, baskets and bins. A dresser is a key piece of furniture for more than just clothes! If you are having a baby, I often recommend saving on a change table and buying a dresser that can last through the years. The top drawer is perfect for diapers, wipes, any lotions or wash clothes. The middle drawer can then have lots of folded clothes and I recommend using the bottom drawer for toys that a child can access themselves and which you can simply close the drawer on! It's a simple system that seems to work really well for lots of clients. The hanging items then go neatly in the closet and linens, etc can be stored in their too. Hooks are an easy way to encourage children to clean up by themselves (hurray!) and for you to find a place for loose items with a strap. It is handy to have a few at child height for items such as sweaters, morning robes, bags, dress up clothes, toy cameras, backpacks, etc. Any toy with a strap can be hung on them too. A well organized room should be able to be tidied away in 5 minutes of less. Quickly pop books back on the shelves, bigger toys go in the covered bins, clothes in the dresser and closet, blocks and smaller toys in open baskets on shelves with little accessories hung up. This is a great system for little ones to start when they are young and learn and grow into with guidance. I'd love to hear of any other ways that you manage storage in your kids room. Tell me in the comments below.